mark's bday! it's a surprise!! now, on to the grocery store! Oh my gosh, I love the gold hardware on that stove!!!! that's funny because i'm making this tonight too = spaghetti with ground turkey tomato sauce! 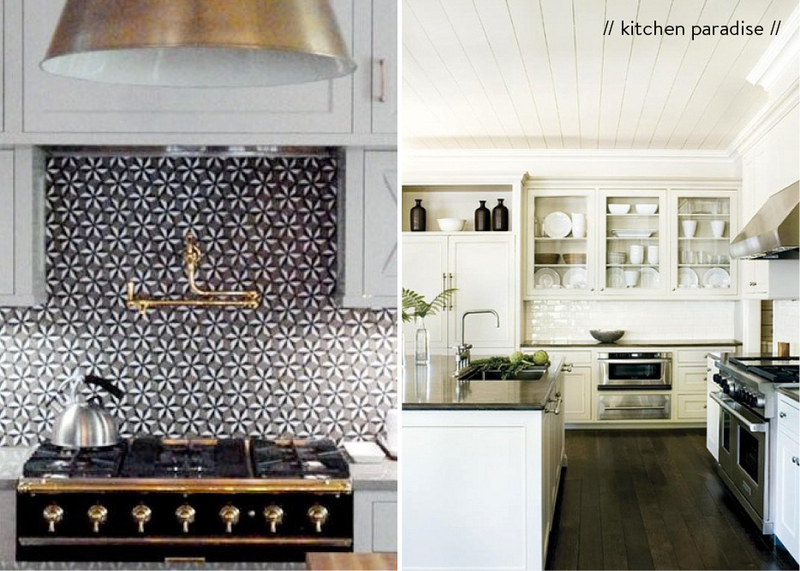 my dream kitchen is planned in every detail - your menu sounds so yummy! my dream kitchen continues to change, so i'm hoping by the time i can actually create my kitchen i'll have every detail down! haha i try to use my kitchen when i can :) oh me too, i am all about the islands! I just discovered your blog. I love it so much! Hey Hey! It looks like you have found your niche ;] Great job girl!!! LOVE all the recipes-keep em coming!!! This menu sounds all sorts of delicious. Can I come over for dinner? Wednesday's is making me drool!